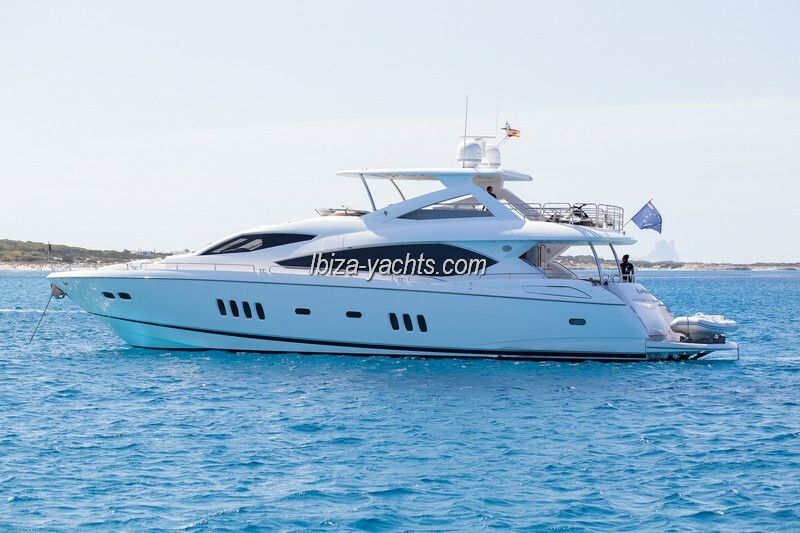 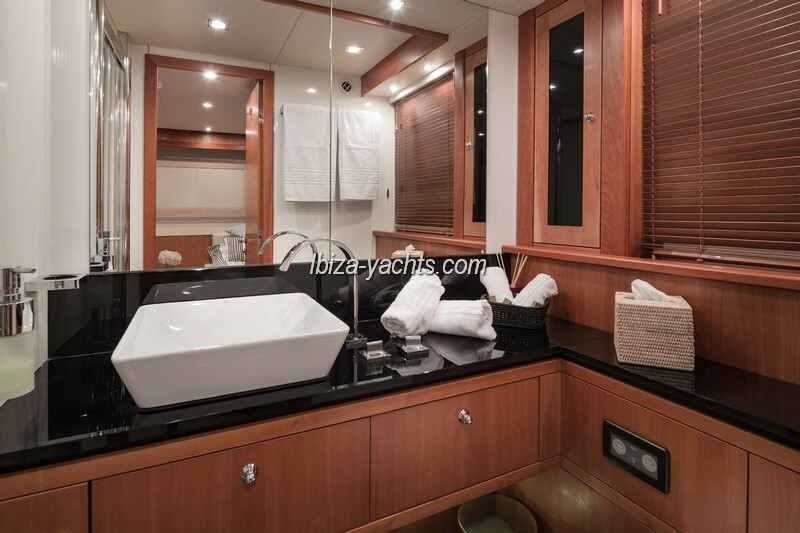 Predator 72 is available for charter in Ibiza and the rest of the Balearic Islands. 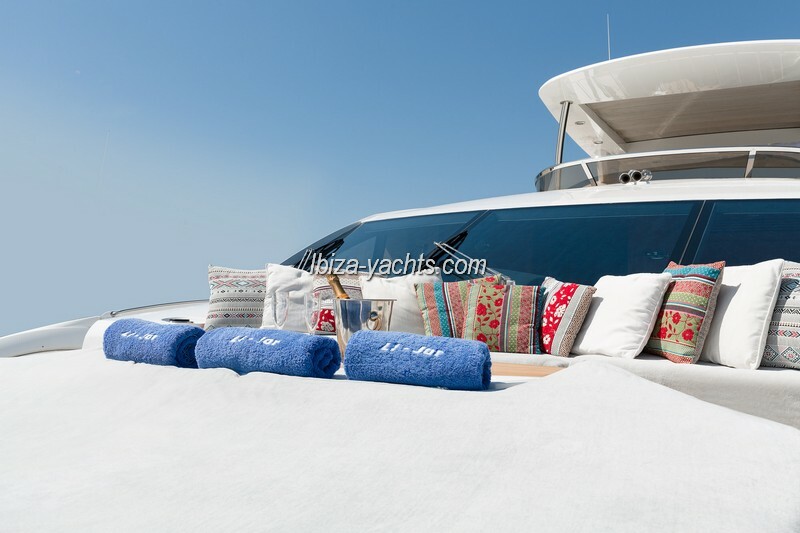 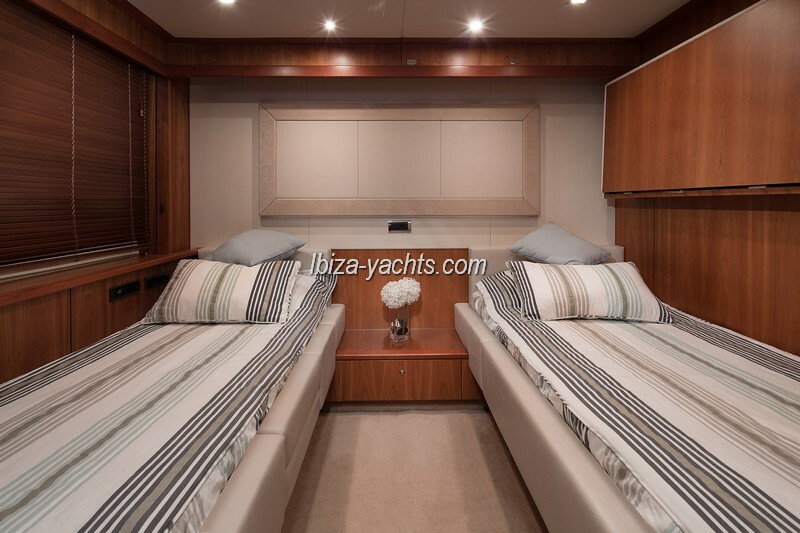 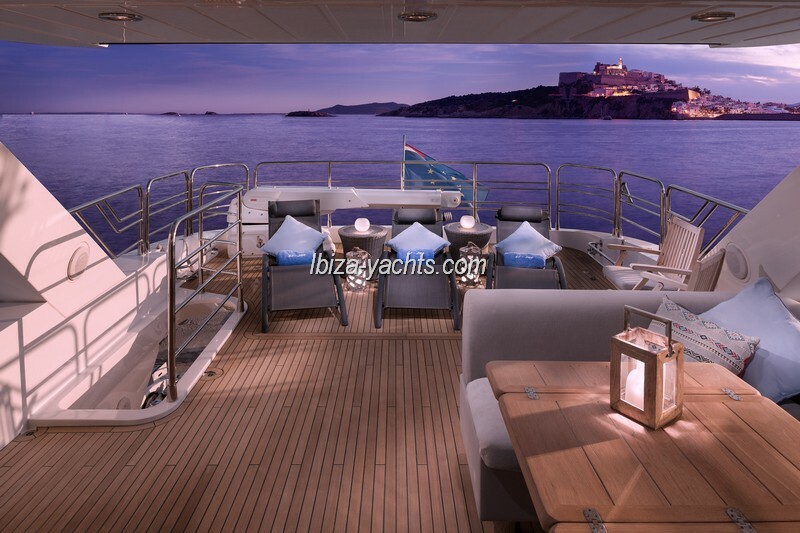 Fantastic motor yacht of 28 meters in length available for charter in Ibiza, Balearic Islands all year round. 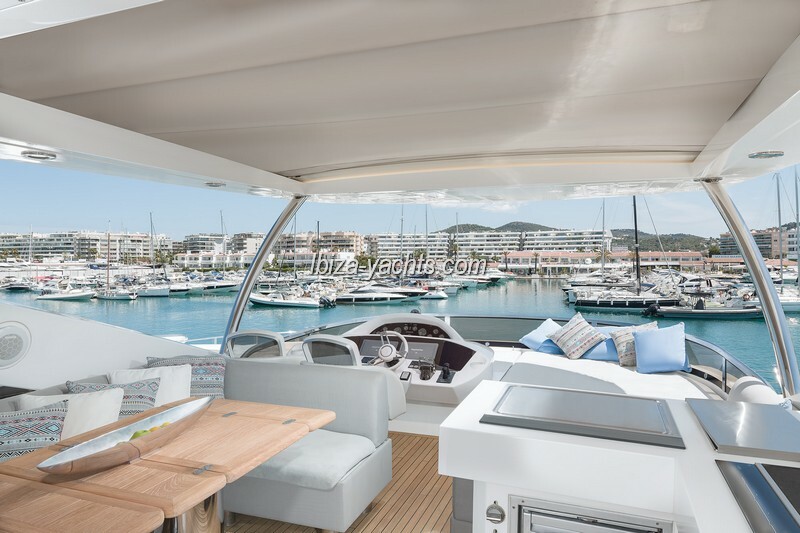 The Sunseeker Predator 92 is a magnificent open motor yacht with a small flybridge that gives it an aggressive appearance and modern lines. 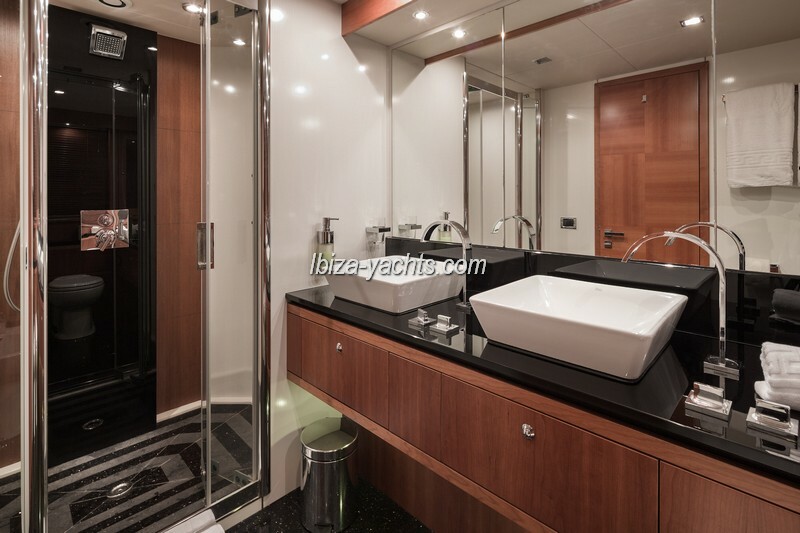 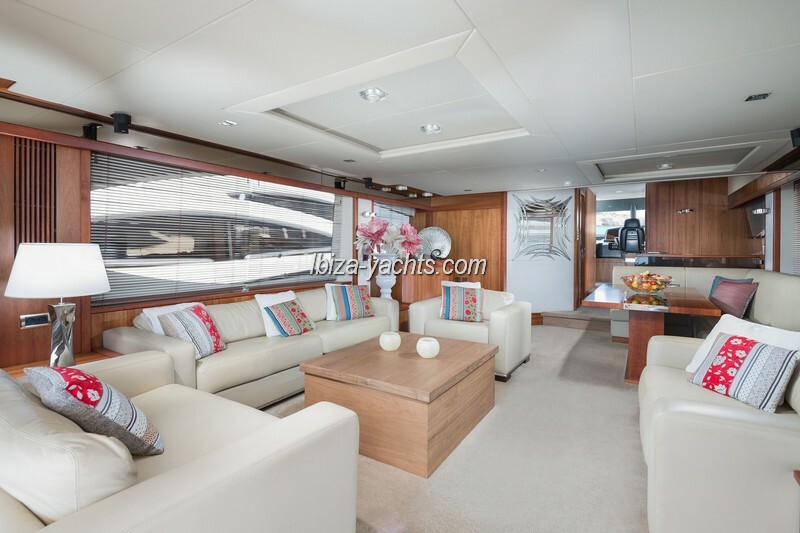 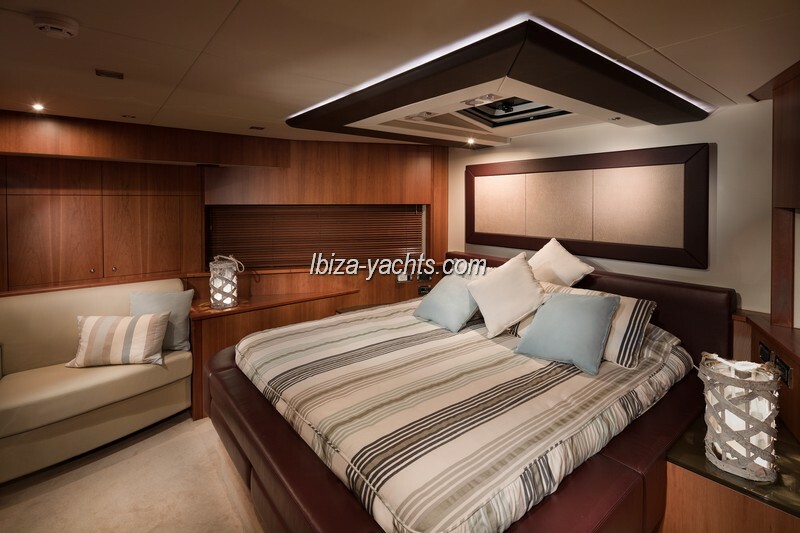 A spacious yacht with a great habitability that offers luxury and comfort at the same time. 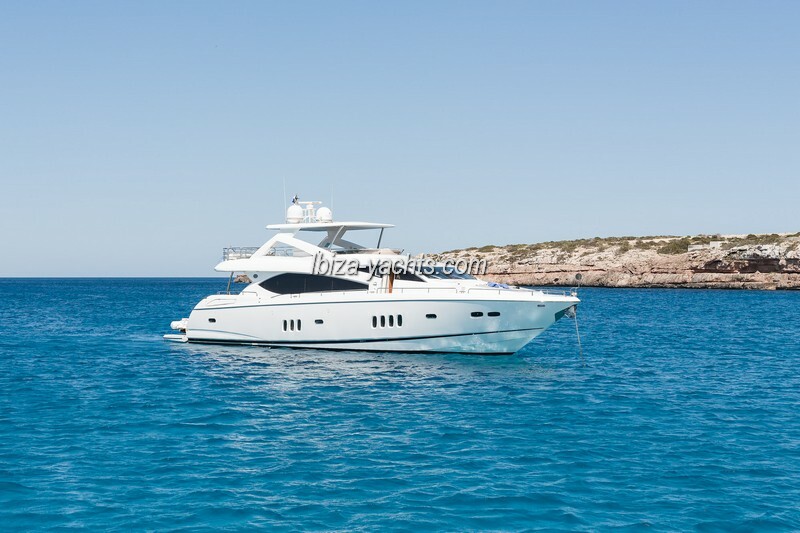 A fast but elegant boat. 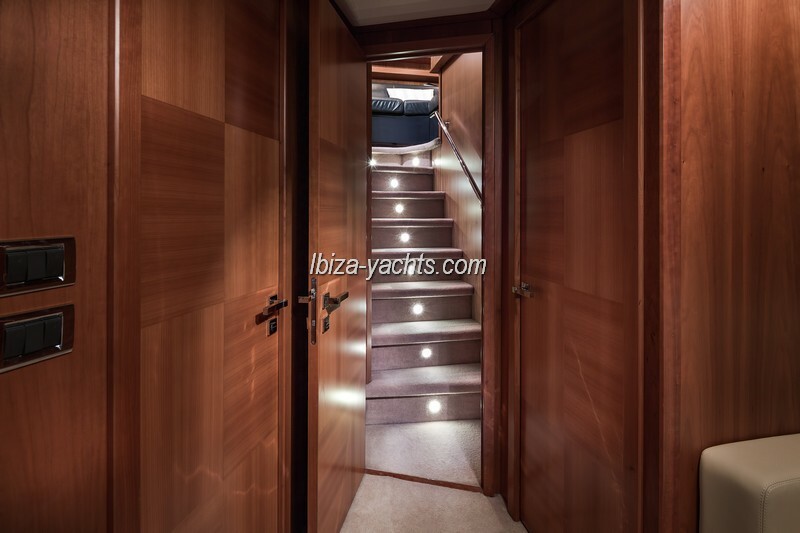 It has the capacity to accommodate 8 guests accommodated in 4 double cabins and can sail during the day with 12 passengers on board. 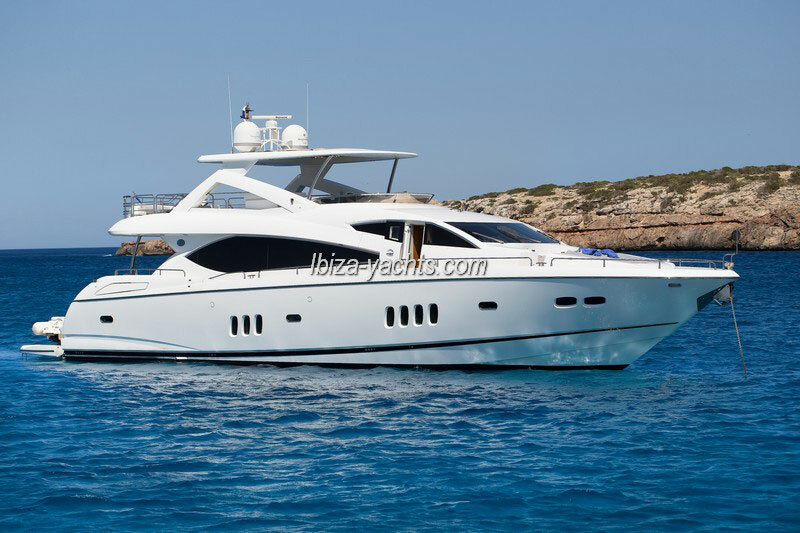 Form of payment: 50% at the time of booking – 50% before boarding.